Fisher Price knows potential when it sees it. The toymaker released three new iPhone apps targeting two to five year olds recently. While mothers shop for groceries or hurry to and from doctor’s appointments, they can entertain their children with digital versions of See ‘n Say, the Little People Farm, and Chatter Phone. 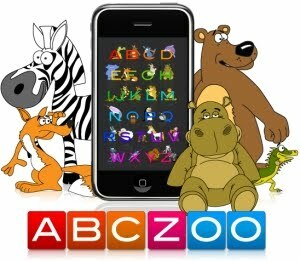 Modeled after the company’s most popular toys of the late 1970s and early 1980s, each app costs between $1 and $2 and offers educational experiences. See ‘n Say helps children identify animals by the sounds that they make. Fine tuning motor skills is the main objective of this particular app. The Little People Farm is an interactive, electronic farm yard complete with animals as well as games and other activities. Children work on recognizing patterns between animals and completing the tasks given to them via iPhone by listening and following directions. Chatter Phone has three screens that children can touch or swipe to hear sounds and narrations. Available through the App store, Fisher Price has also stepped up their game in the social media arena by introducing new and existing customers to their Facebook page. The Fisher Price Moments to Share app allows parents to share their children’s important milestones with others through digital scrapbooking. In addition to being able to upload photographs and videos, proud mothers and fathers can add dates, captions, and stories to the timeline and add to it as their child changes and grows. Located in East Aurora, New York, Fisher Price has a history dating back to the 1930s. They built their business during the throngs of the Great Depression and are now regarded as the “leading brand of infant and preschool toys in the world.” Keeping up with emerging trends and promoting themselves through social media networking will help the company retain its position as a leader in the toy industry. Is the Apple and AT&T iPhone Relationship Ending?